This is a another of the new designs by Michael Hunter for Twists Glass made in 2017 using white swirl canes. 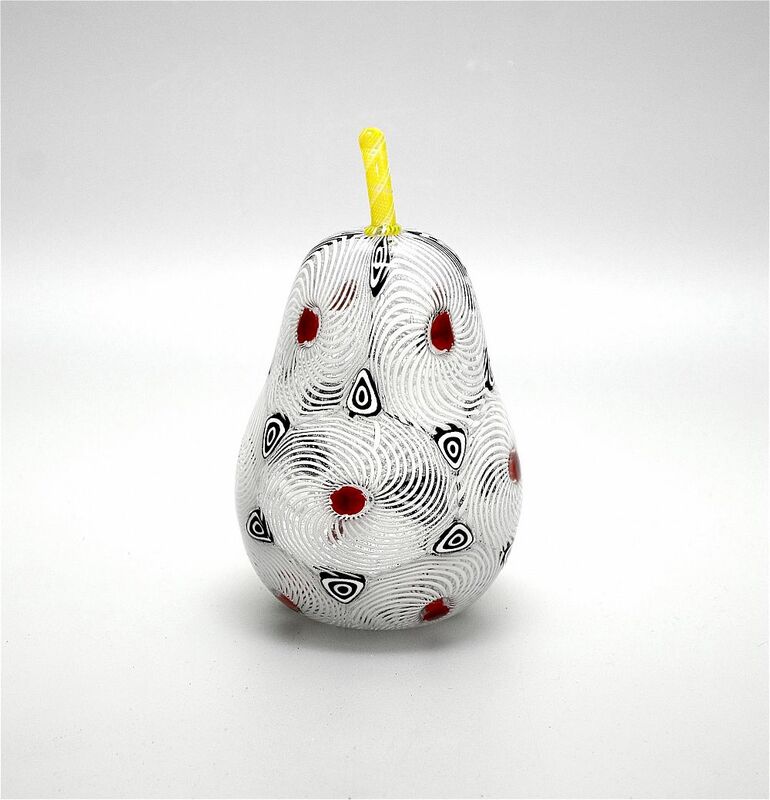 The pear is hollow blown and made of swirl canes in the centre of which are red rose murrine canes. The swirl canes are separated by black and white triangular shaped murrines with 4 stretched black & white murrine canes radiating from the bottom of the yellow & white zanfirico cane stem. The base is scratch signed " M Hunter Twists 17" and has the Twists Glass studio label. A lovely object and a great companion for the "Swirl" apple! !